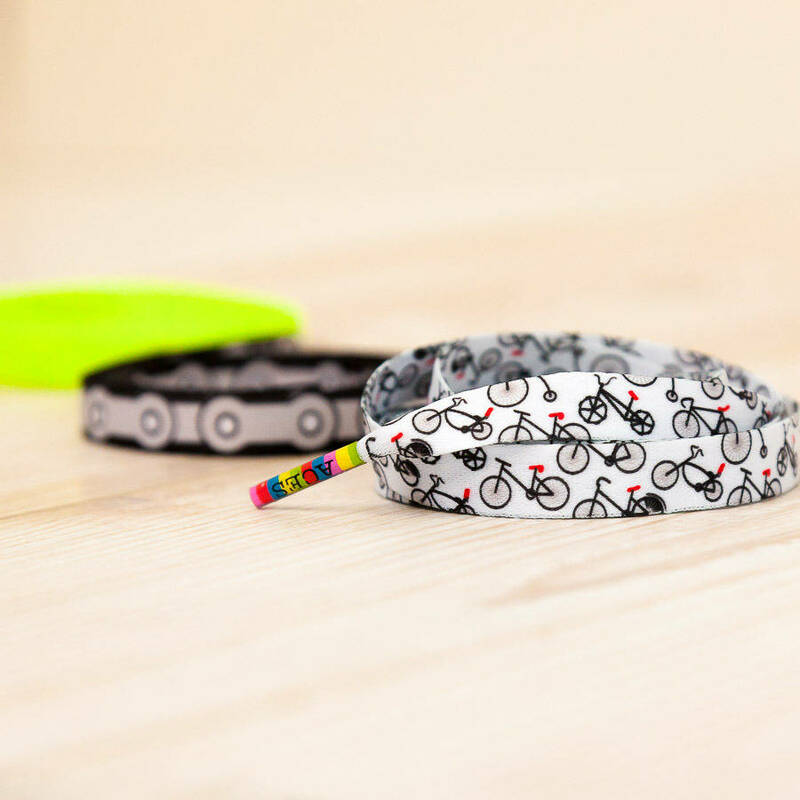 The perfect present for your cycling friend, if their bicycle has a ladylike basket on the front, or mud flaps and 30 gears! 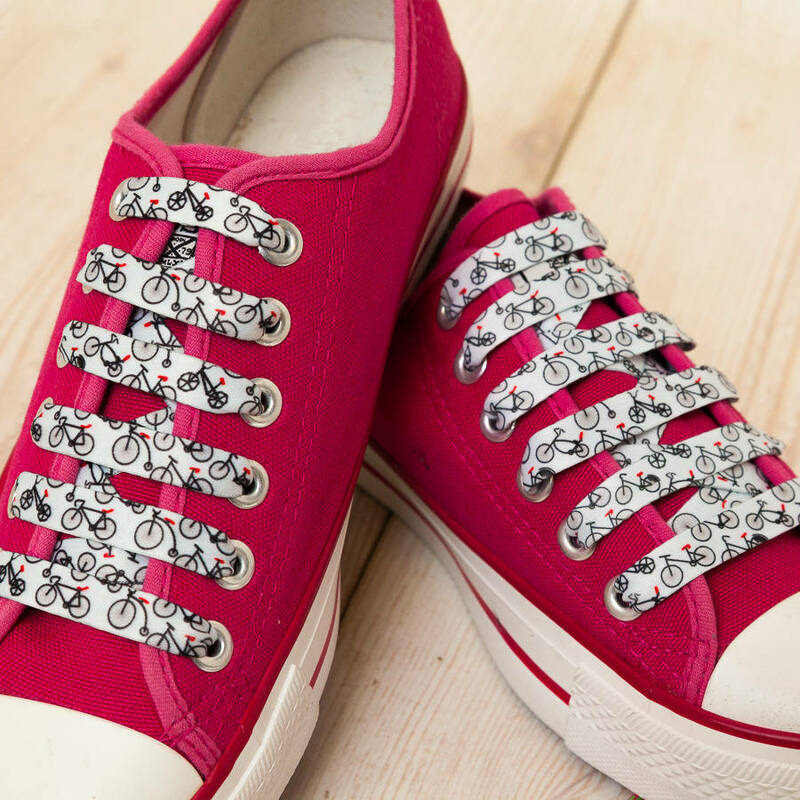 Every cyclist or bicycle owner, will be sure to love these unique cycling themed shoelaces. 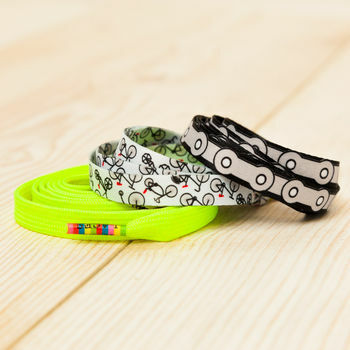 Bike Chains, Bicycles and bright Neon Yellow. 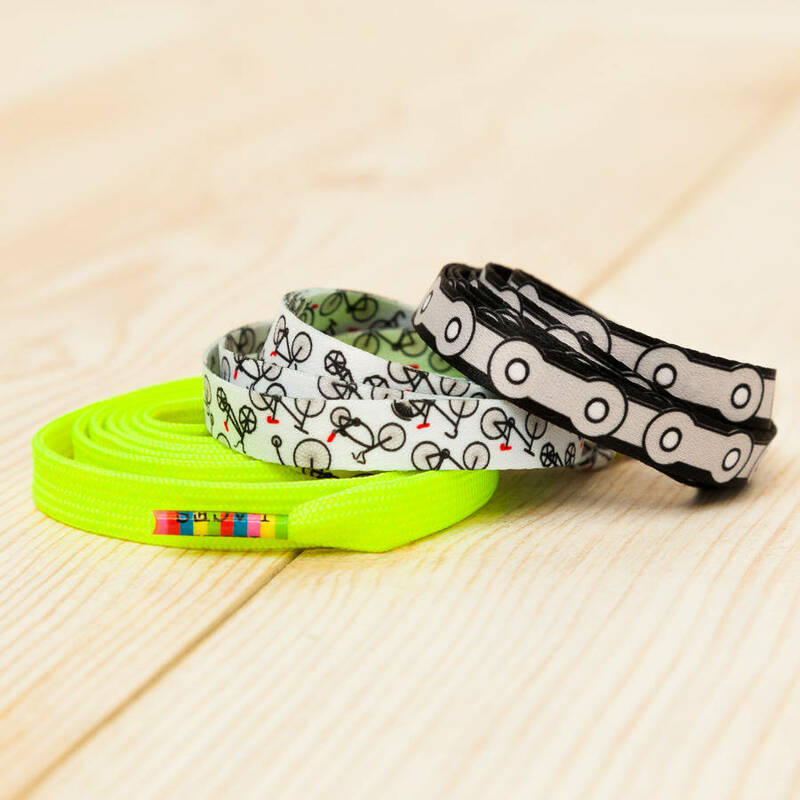 Much easier than buying them some bike gizmo, these laces reflect their hobby beautifully. 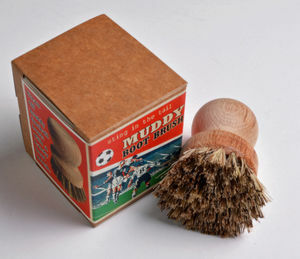 Suitable for adults and children too. 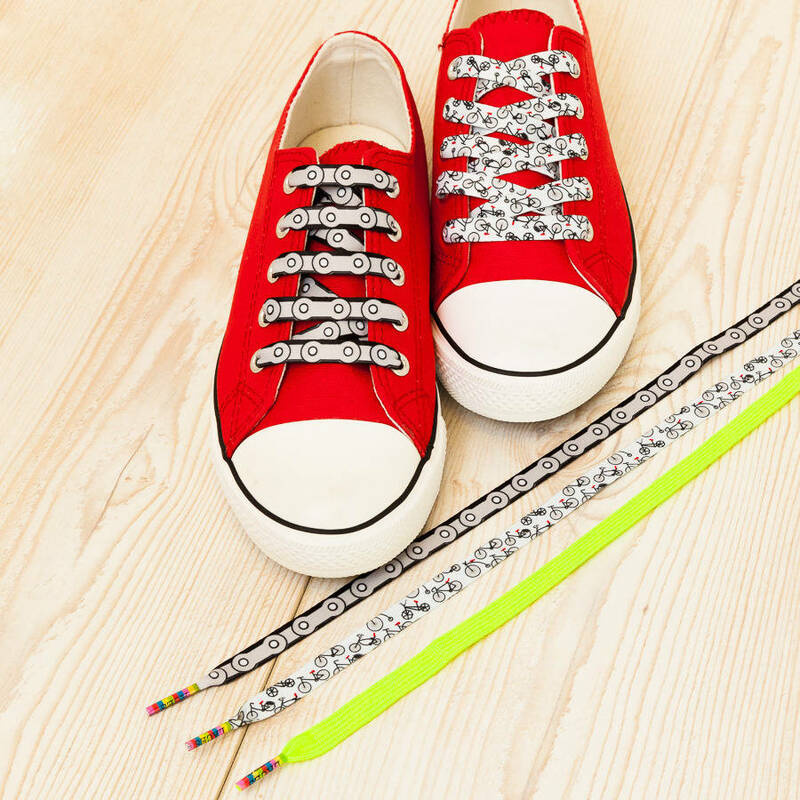 These unique accessories make gorgeous gifts and excellent stocking fillers. 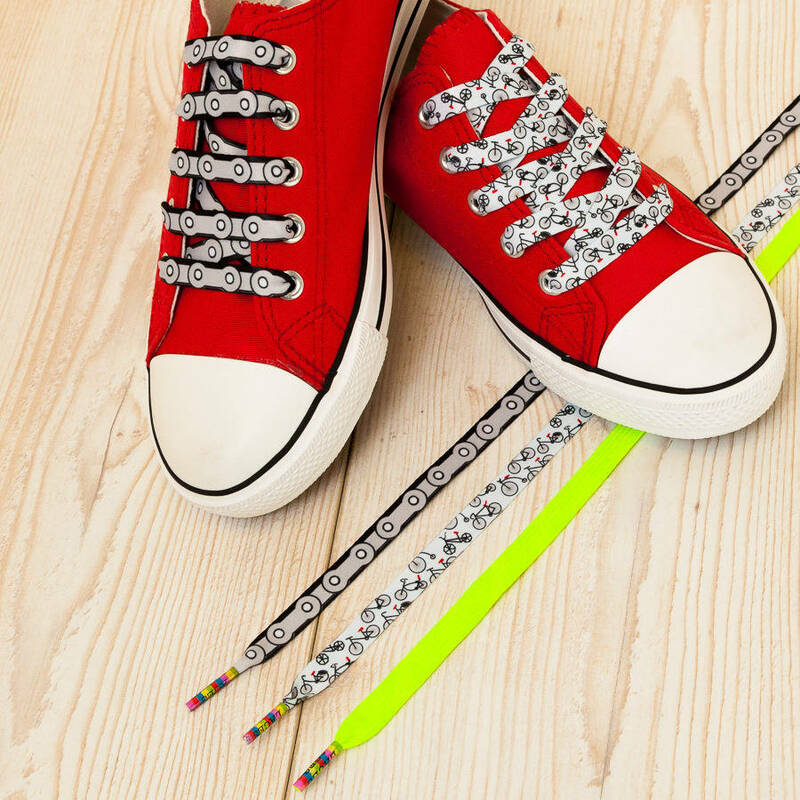 Aces Laces are suitable for boots, shoes, and trainers. 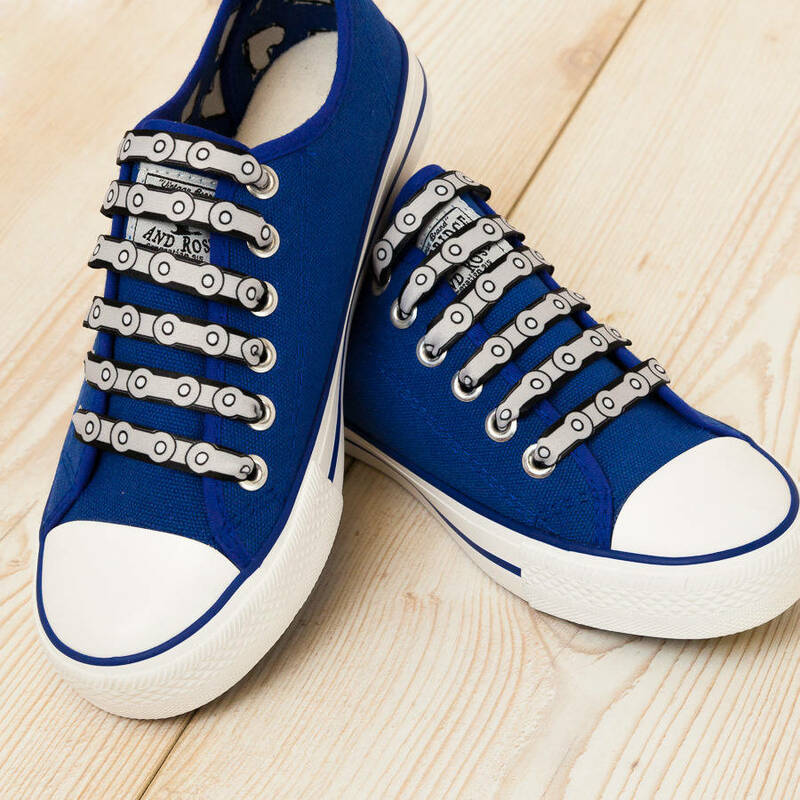 This pack contains three pairs of shoelaces. In other words, enough to lace up 3 pairs of shoes. 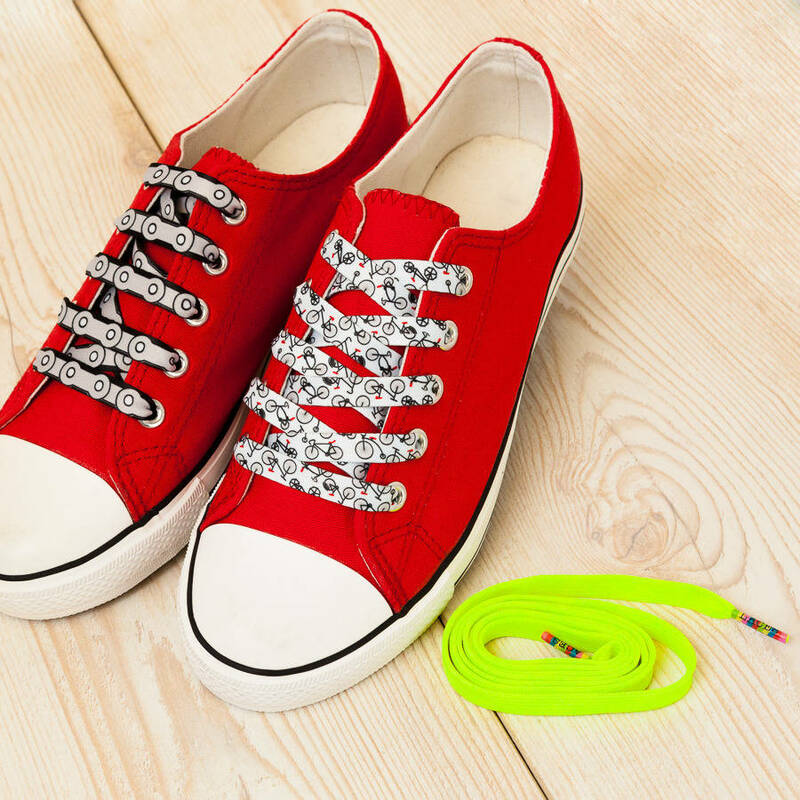 You will receive 3 packets of Aces Laces, each packet contains 2 matching shoelaces. 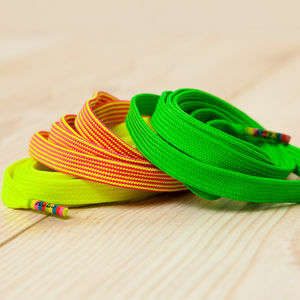 This product is dispatched to you by Aces Laces.